We are in the heart of Conero Park, in the area of Numana! Here You ‘ll Find the Relax You Are Looking For ! The historic farmhouse, renovated in 2011, it is located 80 meters from the sea, the marina, and is a five minute of walk from the historic center of Numana. 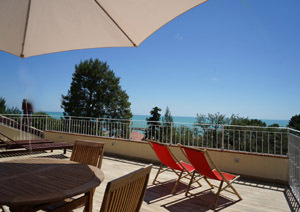 The property consists of: 3 bedrooms equipped with every comfort, each with private bath, air conditioning, and Wi-Fi; a wonderful terrace overlooking the sea and the Port of Numana and a small garden. The owners are happy to offer you a breakfast with typical local delicacies and homemade goodness. On request and at an extra charge of 5 € per room, you can enjoy an international breakfast! 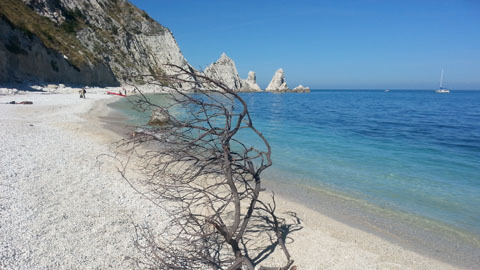 The beaches and water of Numana have for years been awarded the European Blue Flag for cleanliness and livability that really makes them unique. 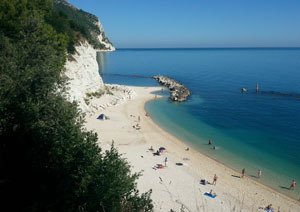 Immersed in the Conero Park, Numana offers everyone the opportunity to enjoy the holidays the way you prefer, with its white cliffs overlooking the sea, pristine beaches and hidden coves by the Monte Conero, and its coves of turquoise water are an ideal destination for lovers of diving, it is also a real treat for lovers of hiking, biking and golf.